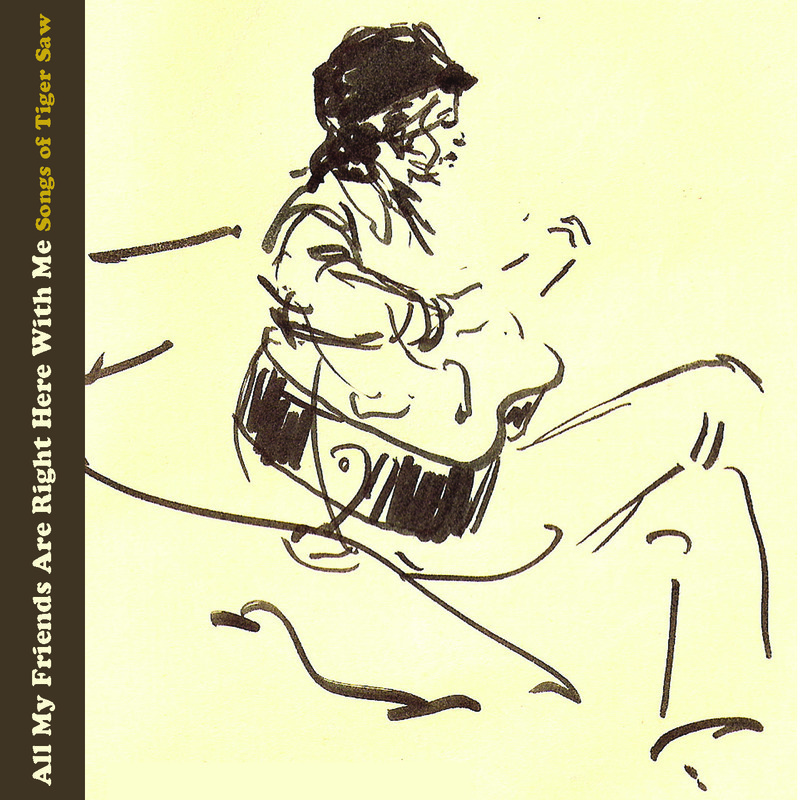 ‘All My Friends Are Right Here With Me’ is a CD compilation of artists covering songs by the indie-folk collective Tiger Saw. It was originally released with a book of the same name; the story of the first decade of Tiger Saw. Based on a decade of tour diaries and dozens of interviews, it tells of a community of bands in the DIY, post-Nirvana era. It features first-person accounts of tours with Kimya Dawson, Castanets, Jason Anderson, Viking Moses, The Hotel Alexis, and more.